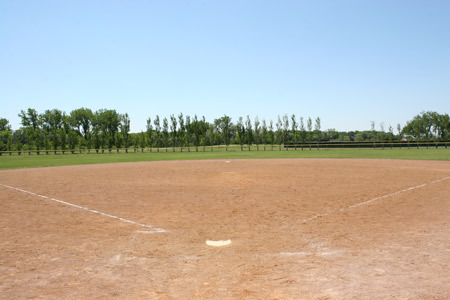 The outfield grass glistens, the sun shines, and the crack of the bat carries on the wind. That means one thing, folks: Baseball is back! Baseball coaches want an easy and quick way to set their lineups. Paper works fine, but unless you overnight ship your lineup card to everyone, your players won’t know when they’re hitting until the next day. And you’ll be broke, because overnight shipping is expensive. This season, try using TeamSnap Assignments instead. You can set your lineup in seconds with our web or mobile app, then adjust the order on the web whenever you need. Plus, once your lineup’s finalized, just click “Send Invites” to notify the whole team via push notification or email. Keep Everyone Updated with TeamSnap Live! Baseball players play a lot of games, which means parents probably won’t be able to make them all. The good news is, with TeamSnap Live!, you can feel like you’re at the game, even when you’re not. TeamSnap Live! is sort of like a personal chat room just for your team. With it, parents can post live game photos and update scores in real time. Plus, they can add text commentary about what’s happening. It’s the best way to be there when you can’t be there (and it’s free with our free mobile app!). Are your team parents always wondering where the next game is? With TeamSnap, just tell them to check the app. Our Schedule tab holds all the info your baseball team needs. Easily record who you’re playing, where you’re playing, when you’re playing and more. Plus, if you ever need to change any details, the app sends a notification to the whole team letting them know. Does TeamSnap sound right for your baseball team? Get started with our free 21-day trial today!